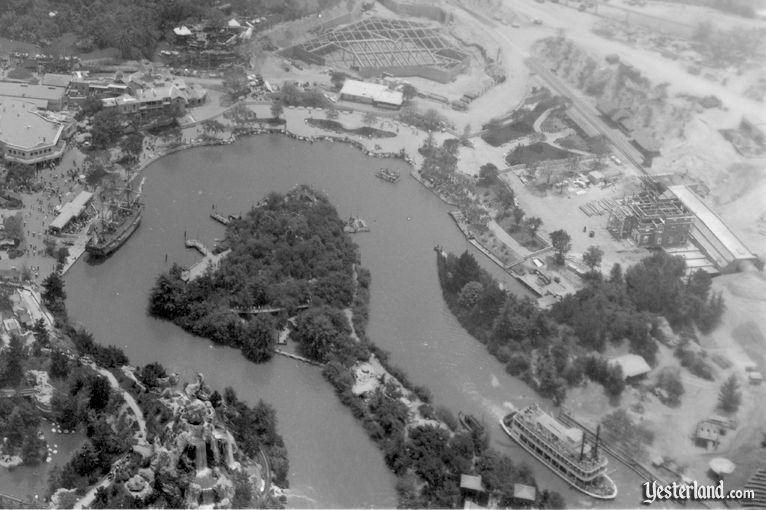 There were Disneyland myths and rumors long before the Internet. This article is about a story I heard 41 years ago. 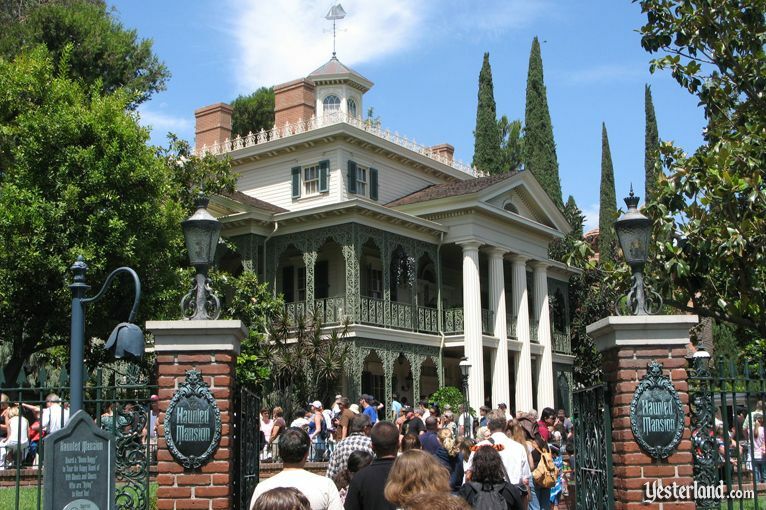 The Claim: The Haunted Mansion at Disneyland was so scary when it first opened that an early guest suffered a heart attack from fright and died. Disneyland immediately closed the attraction. Several years later, a redesigned, much tamer version reopened. A view from the Swiss Family Tree House in 1964. The Haunted Mansion opened on August 9, 1969. Disneylands first new attraction since August 1967 had a ride system similar to Adventure Thru Inner Space, a terrific theme song, and ghostly spirits brought to life by Disneys magicians—especially in the ballroom with dancing holograms (at least thats what many people thought they were). The ride was a lot of fun and a worthy addition to the Disneylands “E” ticket roster. But the long-anticipated attraction wasnt frightening at all (unless you were very easy to frighten). In fact, if you were hoping to be frightened, you might have been disappointed—after all, it was supposed to be haunted house. Couldnt they come up with anything scarier? The school kids of Orange County knew the real story of the stately Southern mansion that had been a fixture of Disneyland since 1963. Ready? Heres the story: After it was originally built, the Haunted Mansion was opened for a guest preview. It was incredibly scary... unbelievably scary... completely different than the attraction that would eventually open in 1969. One of the first guests was so frightened that he had a heart attack—and died. Walt Disney, who was still alive at the time, ordered the doors to be locked and the attraction to be completely redesigned so that there would be no more heart attacks. Its great story—but nobody really died. There was never an earlier version of the Haunted Mansion that could cause heart attacks. Its not hard to see where the story might have come from. There was a seemingly finished Haunted Mansion as early as 1963, three years before New Orleans Square opened. 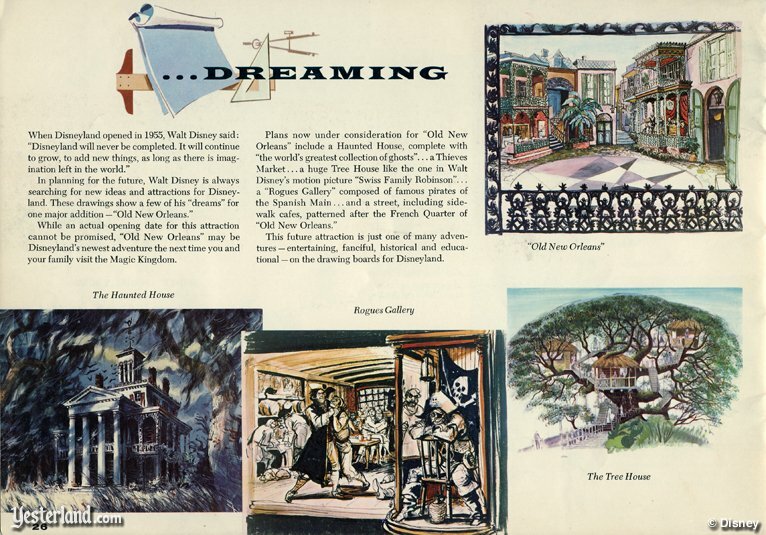 The “Dreaming” page of the 1961 edition of Walt Disneys Guide to Disneyland showed renderings of “Old New Orleans,” The Haunted House, Rogues Gallery, and The Tree House. By 1962, construction was underway to turn the “Dreaming” page into a reality. Although Walt Disneys Guide to Disneyland didnt promise an opening date, it seemed likely that everything would be open some time in 1963. Disney projects moved quickly in those days. It only took until November 1962 for the Swiss Family Tree House to open. During 1963, the main part of “Old New Orleans” was still just steel beams above a basement. The Haunted Mansion looked ready to open. But it wasnt anything more than an empty building. The show building on the other side of the railroad track was still years away. The Haunted Mansion didnt open in 1963... or 1964... or 1965... or 1966. 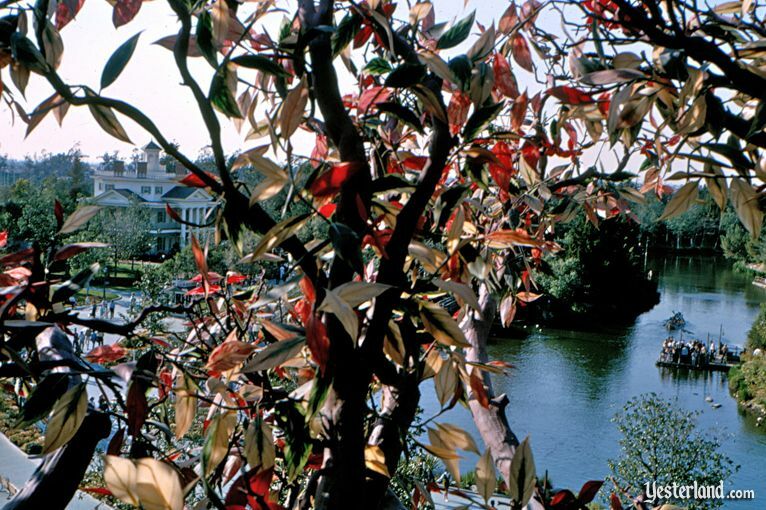 New Orleans Square was put on hold when Walt Disney directed his limited resources toward four pavilions for the 1964-5 New York Worlds Fair. The delay continued as Walt Disney and his Imagineers applied the lessons they learned from their work on the Fair. Walt Disney finally presided over the opening of the New Orleans Square on July 24, 1966. The new land did not yet have its two signature attractions. Sadly, Walt Disney would die before the end of the year. Pirates of the Caribbean had its grand opening ceremonies on April 19, 1967, after quietly opening to guests a month or two earlier. But the Haunted Mansion didnt open in 1967... or 1968. For six years, a clever sign at the gate recruited ghosts to move into the Haunted Mansion. For the first three years, if anyone asked when it would open, the answer was that Walt Disney was out collecting ghosts. In 1968, construction began on the show building that houses the ride. The mansion itself holds the entrance foyer and the two “stretching room” elevators. That brings us to August 1969, when the Haunted Mansion opened—for the first time. If there had once been a super-scary, heart-attack-inducing version of the Haunted Mansion ride, how would that have been possible without the show building? An Urban Legend: Swan and Dolphin Reversed? Photograph of Haunted Mansion from Swiss Family Tree House: 1964 by Roger J. Runck, courtesy of Robin Runck. Scan of “Dreaming” page from the 1961 edition of Walt Disneys Guide to Disneyland: © Walt Disney Productions. Aerial photograph of Disneyland in 1962: Courtesy of the Orange County Archives, Santa Ana, California, from the Knotts Berry Farm Collection. 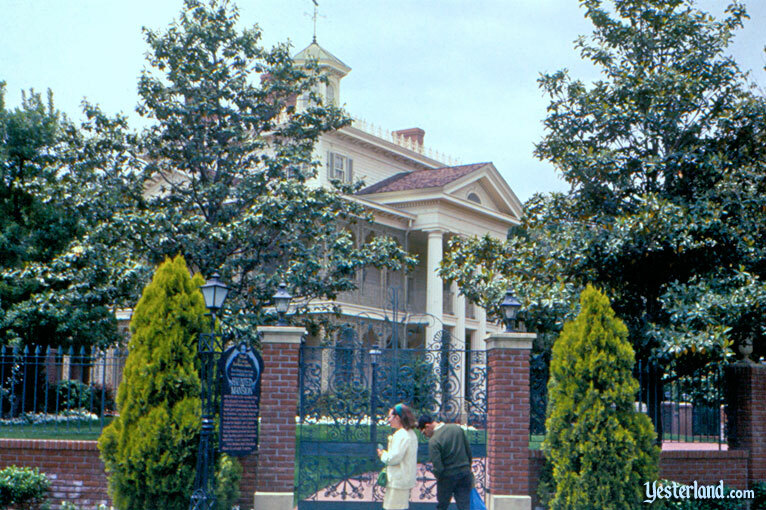 Photograph of closed Haunted Mansion: 1968 by Roger J. Runck, courtesy of Robin Runck. 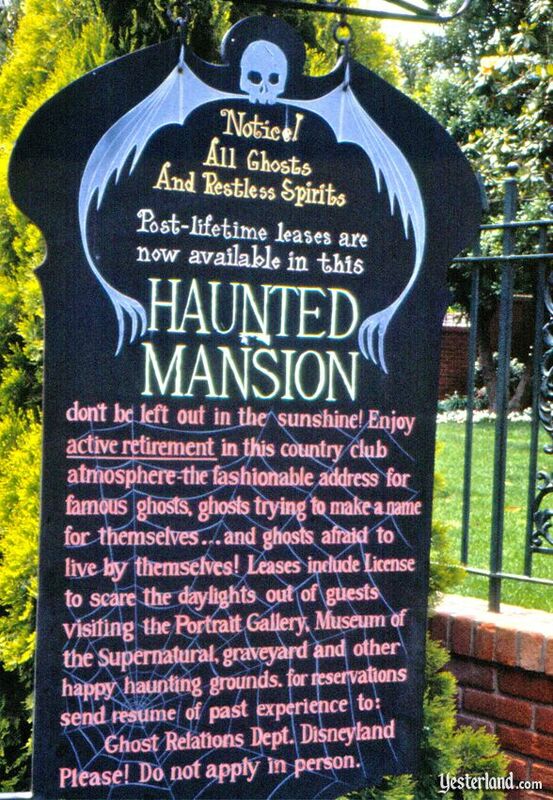 Photograph of Haunted Mansion explanation sign: 1968 by Roger J. Runck, courtesy of Robin Runck. 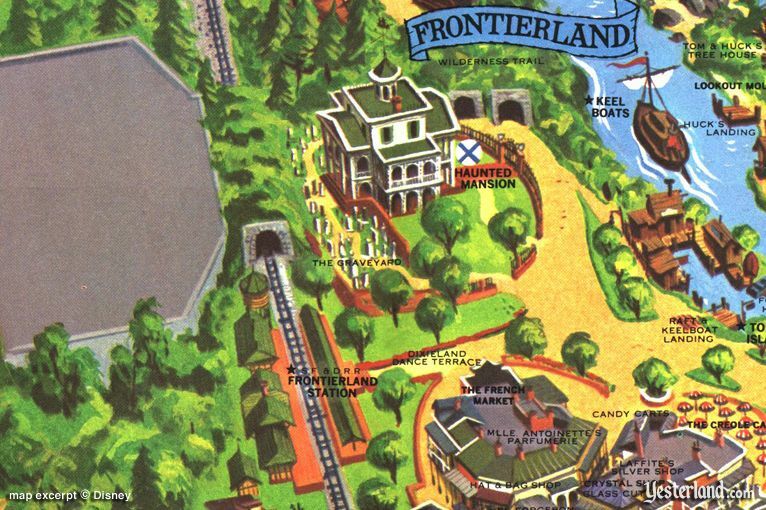 Excerpt from 1964 Disneyland souvenir map: © Walt Disney Productions. 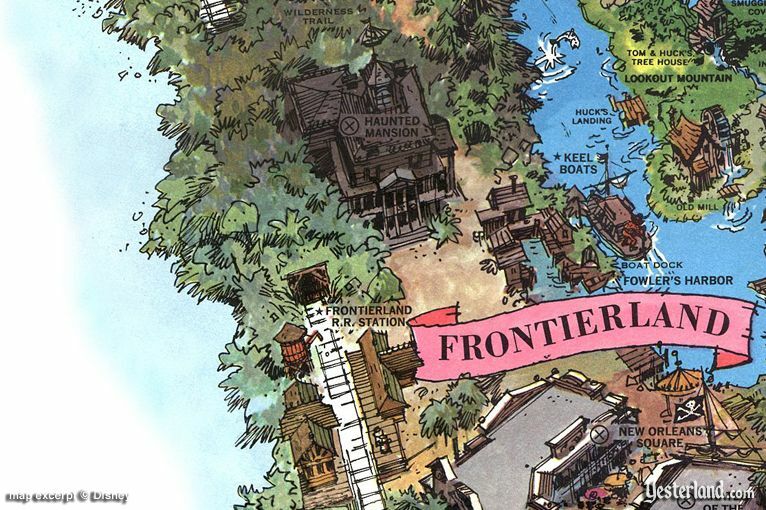 Excerpt from 1968 Disneyland souvenir map: © Walt Disney Productions. Photograph of Haunted Mansion with crowds: 2010 by Werner Weiss.